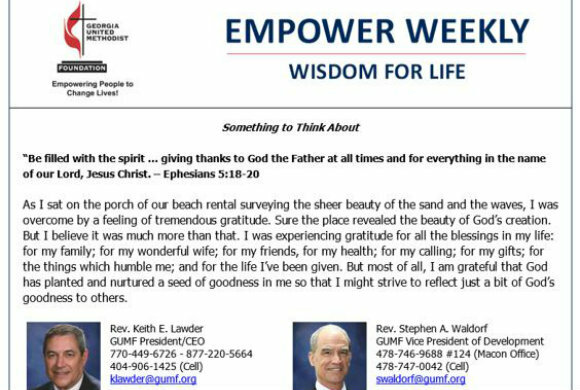 We are pleased to announce that we are changing the name and design of our weekly e-newsletter from Legacy to EMPOWER WEEKLY. Our new name better reflects the WISDOM FOR LIFE content, which includes an inspirational devotion, news from Washington, Savvy Living, Personal Planning, gift stories, finance news, and timely articles! Please sign up here or contact us at 770-449-6726, 877-220-5664 or info@gumf.org to join our mailing list.